A recent transplant from Boston, MA to the Mountains of Colorado, Patrick Boyle aka Digital Vagabond is a DJ/Producer, photographer, event-planner and Jewelry Fabricator ; a connected individual and man of action who wears many hats within an exponentially growing electronic music and transformational festival culture. His moniker is derived from his technological nomadic inclinations, embracing digital technology and cyberspace as symbiotic interfaces full of possibility-- the potential for an unlimited network inseparable from nature. A recent transplant from Boston, MA to the Mountains of Colorado, Patrick Boyle aka Digital Vagabond is a DJ/Producer, photographer, event-planner and Jewelry Fabricator ; a connected individual and man of action who wears many hats within an exponentially growing electronic music and transformational festival culture. His moniker is derived from his technological nomadic inclinations, embracing digital technology and cyberspace as symbiotic interfaces full of possibility-- the potential for an unlimited network inseparable from nature. 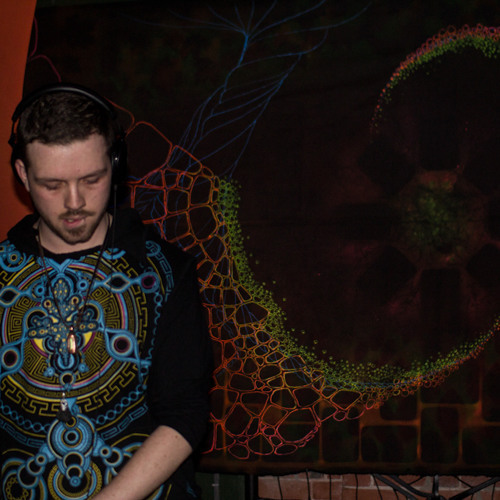 His DJ sets have supported the likes of Bird Of Prey,Whitebear, Opiuo,PhuturePrimative, Bird of Prey, Kaminanda, Mr.Bill, Killowatts, Skytree, BlueBoyProductions, lespecial and more. Patrick is also a Co-Manager of the widely acclaimed online hub LostinSound.org, the go-to site where you can find eloquent writings and resources for the leading music and events in the intelligent electronic music community.